For high-risk pregnancies, doctors need every bit of information they can gather to help ensure the safety of mother and child. 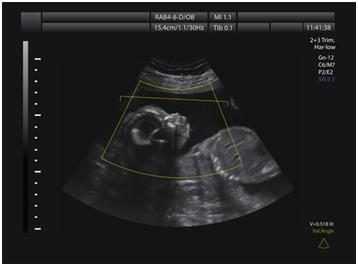 Fetal Dopplers provide an invaluable service to doctors and their patients, allowing physicians to carefully monitor a key indicator of the well-being of the fetus Even in routine pregnancies, fetal heartbeat monitoring is used to check on the progression of fetal development. In addition to the practical benefits of using fetal Dopplers, the devices can also facilitate an important milestone for couples and their child. Hearing a growing baby’s heartbeat for the first time via a baby Doppler device can be a key moment for parents in bonding with their unborn child. This tangible sign of pregnancy helps make the event more “real” for many parents, particularly fathers, who do not experience themselves the physical changes associated with pregnancy. Learning more about these amazing devices can help doctors and mothers alike in monitoring and safely guiding pregnancies. Patient understanding of medical procedures helps them better understand the decisions made by their physicians and the need for compliance with medical advice. 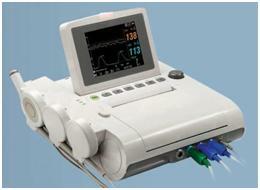 A fetal Doppler is a hand-held device used by physicians to detect fetal heartbeats. A non-invasive method of monitoring fetal heart beats, this device emits high-frequency sound waves that pass through the mother’s body and into the baby. When these sound waves encounter movement, such as that created by a moving fetal heart, they bounce back to the baby Doppler device. The device then interprets the movement as sound and amplifies it, allowing the person operating the device and/or the mother and father of the child, to hear the baby’s heartbeat. 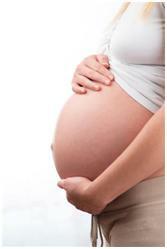 Doppler devices are capable of detecting a fetal heartbeat at about 10 weeks into a pregnancy. The Doppler fetal monitor was invented in 1958 by Dr. Edward H. Hon, and it has been used to safely monitor fetal heartbeats in millions of unborn children worldwide for decades. Doppler technology has been around even longer, being first discovered in the 1880s by a European researcher. These devices are available for sale to private individuals, but should be used with caution by expectant mothers. The FDA recommends that the devices only be used by trained professionals, however, as getting the positioning of the device right to accurately hear a fetal heartbeat requires training and practice. Also, studies are ongoing concerning whether prolonged and repeated exposure to sound waves may impact the health of the child. Fetal Dopplers and sonogram machines are often confused for one another by the public. Both baby Dopplers and sonogram machines use sound waves to obtain information about unborn children, but sonogram machines use higher volumes of waves and greater frequencies to obtain information. Because of the greater volume of waves and higher frequencies, sonogram machines require more specialized training for safe use. Sonograms are capable of detecting fetal heartbeats earlier than Doppler devices, however. Doppler devices used to detect fetal heart beats also differ from Doppler devices used to check umbilical blood flow. 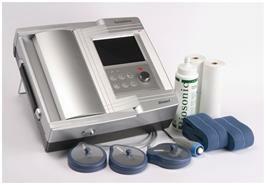 Blood flow Dopplers are more sophisticated and require greater levels of training to operate safely. Why Monitoring Fetal Heartbeats Is Important? Fetal heartbeat is an important indicator of how well a developing fetus is thriving. Doctors use fetal Doppler devices to check the rhythm and rate of the fetal heartbeat. A healthy fetus will typically have a heart rate of about 110 to 160 beats each minute. The uterine environment can have a significant impact on the heart rate of the fetus. Doctors monitor the fetal heartbeat in each pregnancy, but pay particular attention to it in pregnancies considered as high risk. The heartbeat is monitored during routine visits and when women go into labor. The fetal heart beat can provide clues about changes in a pregnancy or labor related problems. If doctors detect an abnormal fetal heartbeat, it could indicate that the unborn child is not receiving sufficient oxygen or is experiencing other problems. Should doctors detect an abnormal fetal heartbeat, there are a number of interventions they can perform to help the unborn child and the mother. Some interventions include the prescription of medication to regulate the fetal heartbeat, or lifestyle changes to facilitate better health for mother and child. Fetal heartbeat monitoring can also let physicians know whether the unborn child can handle the stress of delivery or whether a Cesarean section will be necessary. About six to eight percent of all pregnancies are considered high risk, according to the University of California. The good news is that, with early detection and careful monitoring, as well as the cooperation of the mother, most of these pregnancies can result in a healthy birth. Devices that monitor fetal heartbeats provide an important tool for doctors in watching and guiding these pregnancies. Advise patients to have a full bladder when coming in for a check-up during the early stages of their pregnancy. A full bladder will help to bring the uterus up from the patient’s pelvic cavity. Use quality gel. The gel should be placed at the middle near the public bone if the patient is in her first trimester. For patients more than 20 weeks along, the gel should be placed near the belly button. The initial application of the gel should cover an area about the size of a quarter before it is spread across the abdomen. When using the device, place it directly on top of the gel and activate it. The device should be moved in a very slow circular motion, from side to side, on the patient’s abdomen. For overweight patients, using a 2Mhz probe is recommended. This probe has been found to be more successful in finding fetal heartbeats with mothers who are overweight. After 12 weeks, the 2Mhz probe usually becomes unnecessary. To get the best results from a fetal heartbeat monitoring device, it’s important to purchase high quality, modern devices. 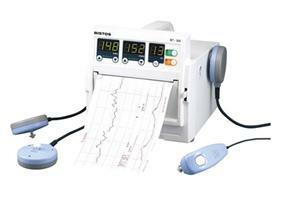 Doctors or office managers in charge of procurement should carefully shop around for baby heartbeat Doppler devices. Reading online reviews of different products is recommended, as is consulting with other physicians concerning the products they use. Buyers should also check out the professional reputation of the distributor they purchase their medical equipment from, inquiring as to whether they stand by their products and what they offer in terms of customer support after the sale. By offering the latest, best products in their clinics, doctors can reassure their patients and achieve better results in monitoring fetal heartbeats. For doctors and clinic managers seeking fetal heartbeat monitoring devices and other quality medical equipment sold by knowledgeable staff, Medical Device Depot is the go-to provider of excellent products and expert advice.Founded by health care professionals who understand the need for top-notch technical knowledge and customer support in the medical industry, Medical Device Depot provides health care professionals with the latest medical equipment sold by trained and experienced employees who can answer important questions critical to assisting health care professionals in choosing just the right equipment for their practices.